MATTHEW TIERNEY, was the eldest son of John Tierney, a farmer and weaver from Ballyscandland, co. Limerick. The family was not wealthy and Tierney’s education comprised what he could pick up at the local Hedge School. Tierney was apprenticed to an apothecary in the town of Rathkeale and planned to establish himself in that profession, however, this ambition was thwarted. His poor background made it impossible for him to obtain credit to buy the stock he required to set himself up. At the age of twenty one Tierney left Rathkeale and made his way to London where he got a job as Chemists Assistant and enrolled as a student of medicine at Guys Hospital. In 1799 he entered as a student of Medicine at Glasgow and graduated as MD on April 22, 1802 and the following summer he settled as a physician at Brighton. One tale recalls that Tierney first encountered the Prince Regent as he lay seriously ill. As the Prince’s physician Sir Henry Holford was away, Tierney was summoned and; opting for bleeding, took 50 ounces of blood from the Prince and remained to watch over him throughout the night. In the morning the Prince was much recovered and Tierney was credited with saving the royal life. This may be apocryphal; other versions tell of Tierney being adopted by the Earl of Berkeley as his patron, and forwarding his cause in within the Royal household. Whichever is most correct, the essence of this story remains one of a boy who propelled himself from his home in rural Ireland to serve with distinction to the highest in the land. Tierney was appointed physician extraordinary to the Prince of Wales, and later physician in ordinary to the Prince Regent. 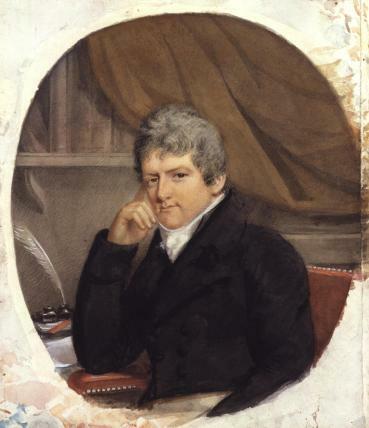 He was created a Baron Tierney of Brighthelmstone in October 1818, and on the accession of George IV, was gazetted physician in ordinary to the king. He continued in the same high office for William IV, who on the 7th May, 1831, created him a knight com­mander of the royal Guelphic order of Hanover. Sir Matthew Tierney died at his residence on the Pavilion parade, Brighton, 28th October, 1845, in the sixty-eighth year of his age. He was entombed within his family vault at St Nicholas Rest Garden, and the site is marked with a engraved plaque mounted at its entrance. This entry was posted in Author, Doctor, Rest Garden, Royal connection, St Nicholas. Bookmark the permalink.